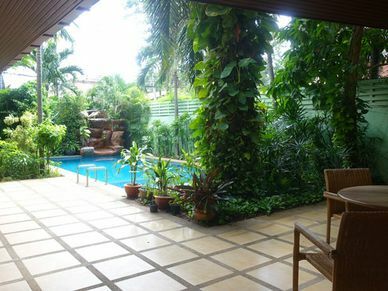 Best of both worlds: Inner city living but quiet, peaceful and safe. 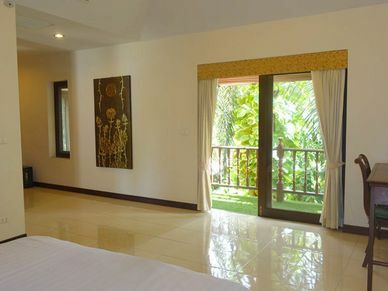 The sensual traditional Thai living combined with modern technology. 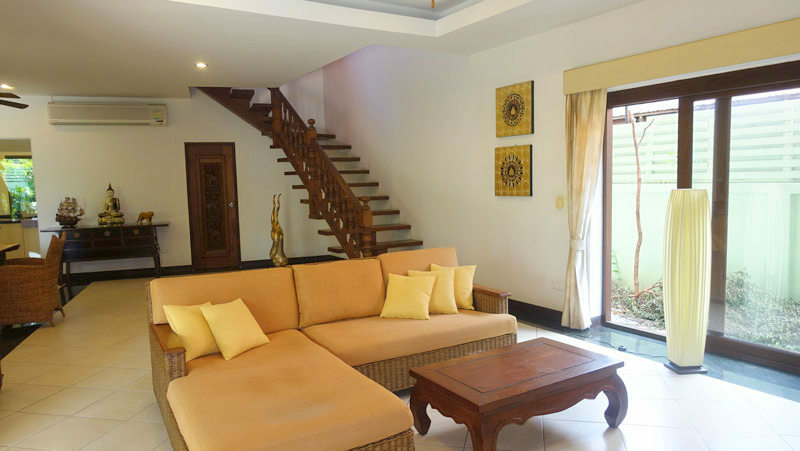 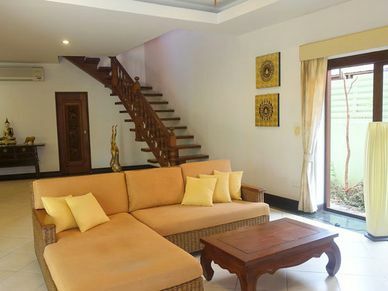 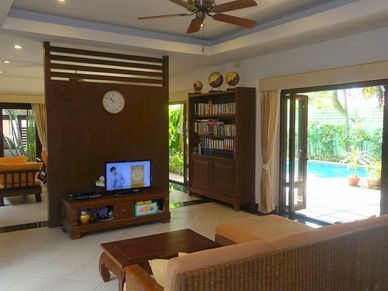 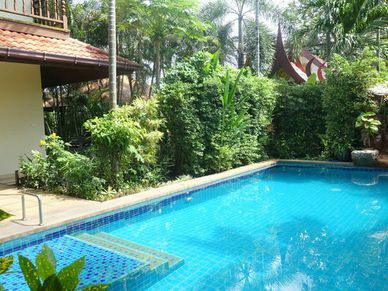 This charming Thai-Bali style villa is located within a secure housing estate between Sukhumvit road and central Jomtien Beach. 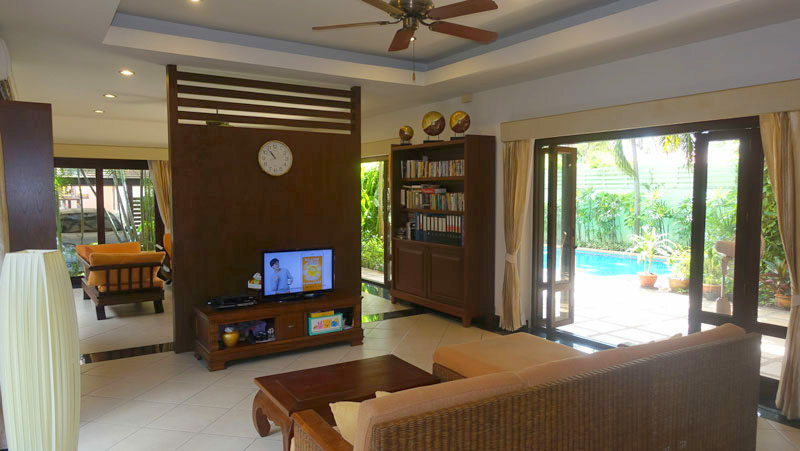 On its ground-floor, the two story property provides a light and airy but nicely shaded double lounge/living-room area with massive sliding-doors giving views to the tropical outdoors. 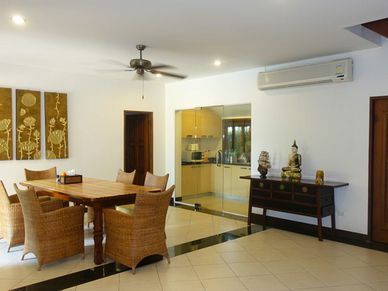 The lounge/living-area holds two sofa-areas and the indoor dining-table for six. 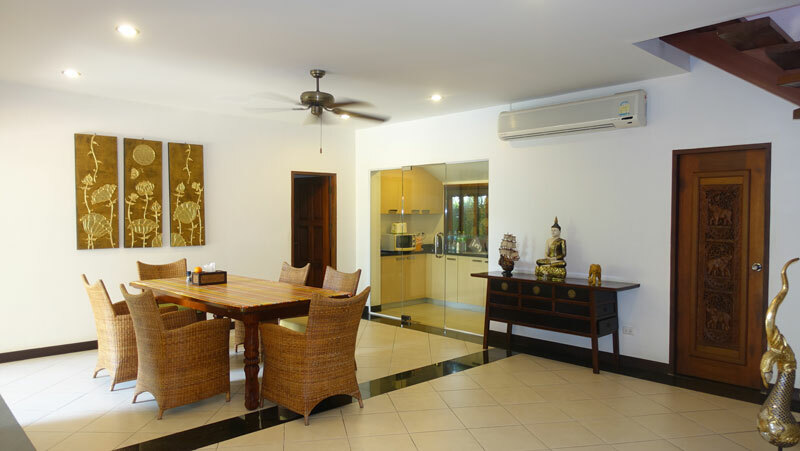 At the backend, there is the modern Western kitchen, fully visible but behind a glass wall. 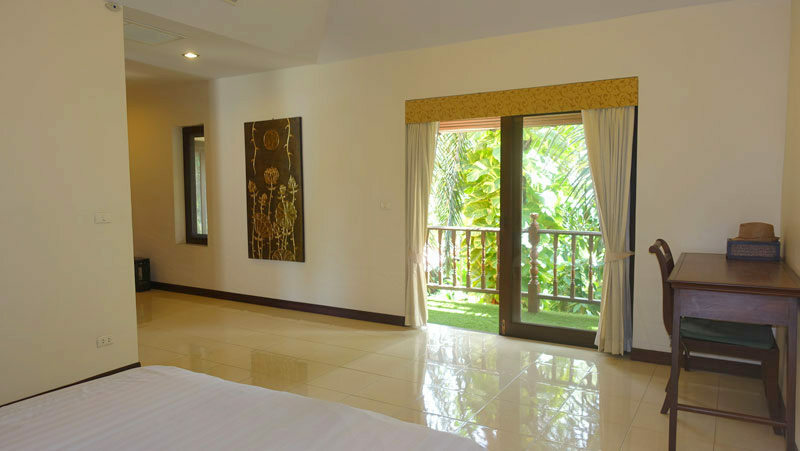 Further, one of the three large bedrooms and outside, a large covered terrace. 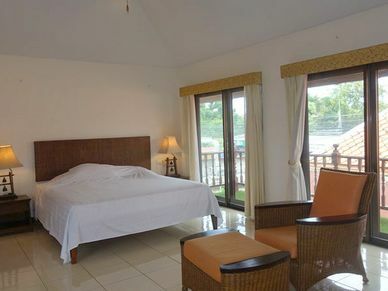 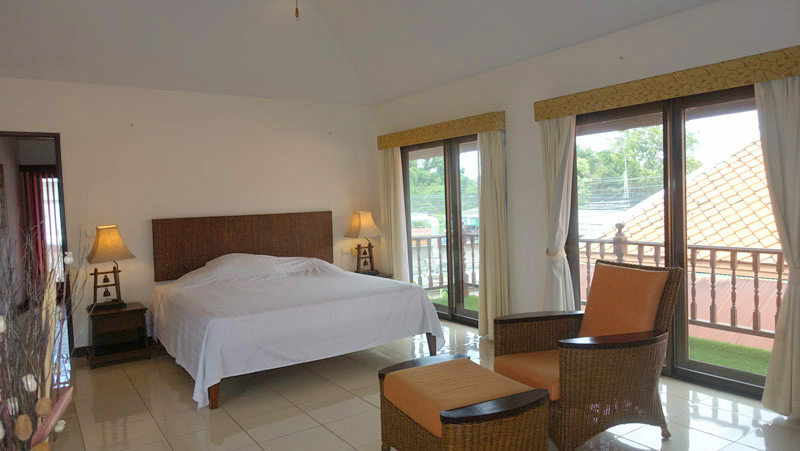 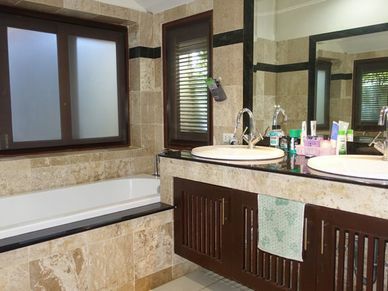 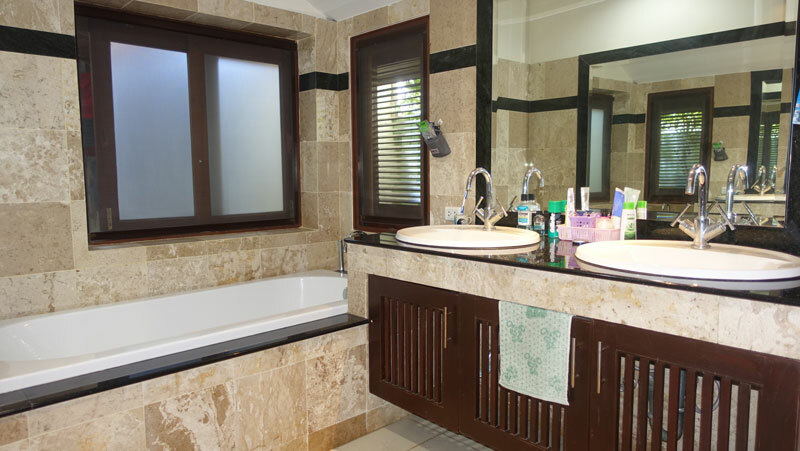 All the bedrooms are real spacious and offer their en-suite bathrooms. 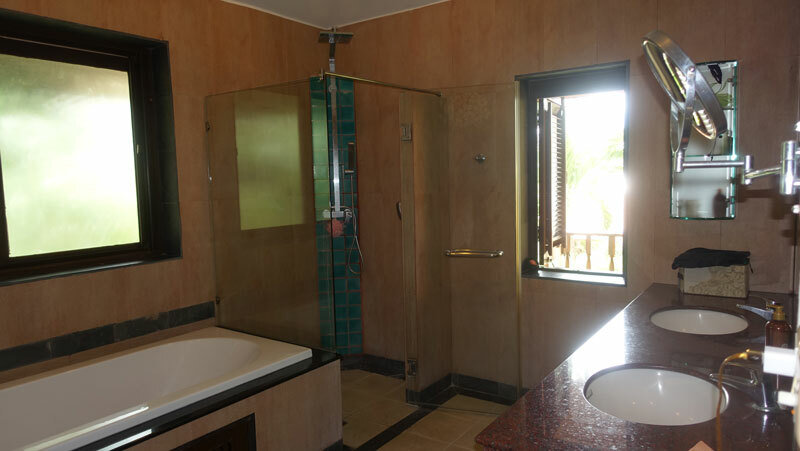 The bathrooms are stylish, two of them with their bathtubs, double sinks and separate shower cubicles. 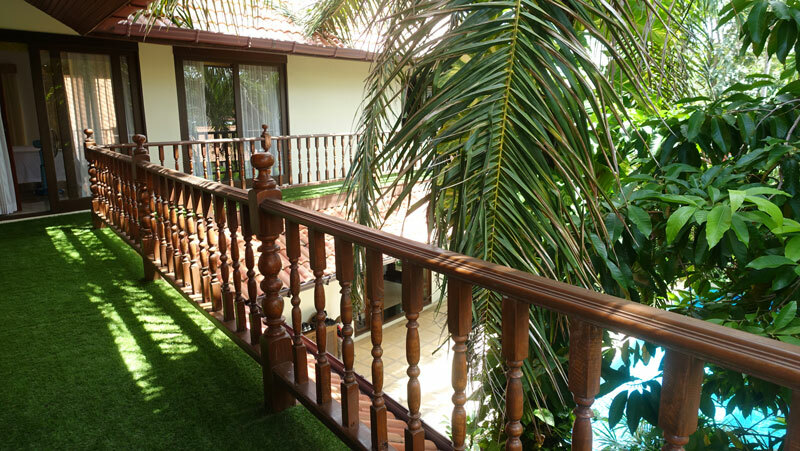 Going up by generous massive wood stairs, there is a small home office on a platform and two bedrooms connected by an extensive L-shaped balcony overlooking the greenery and the pool. 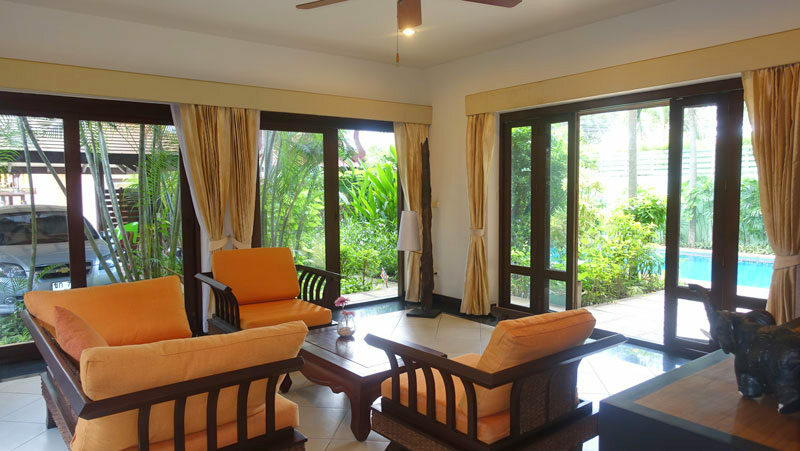 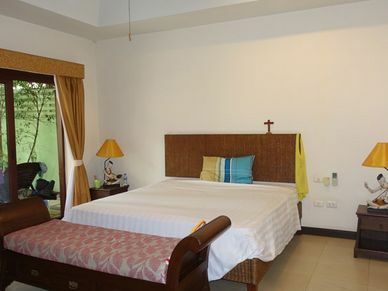 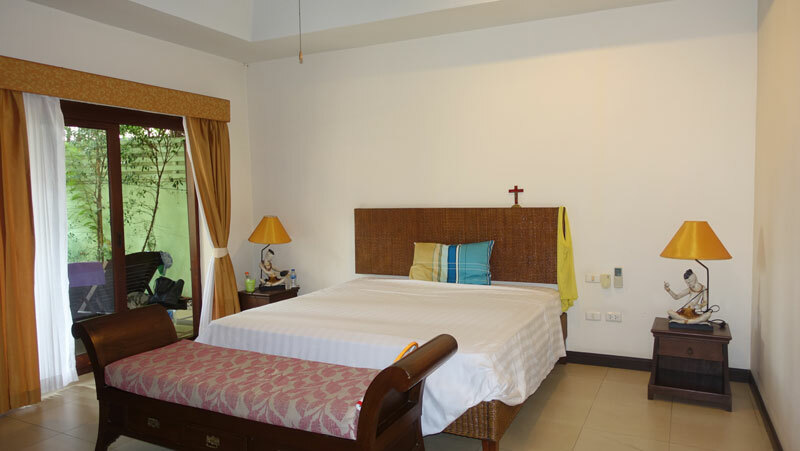 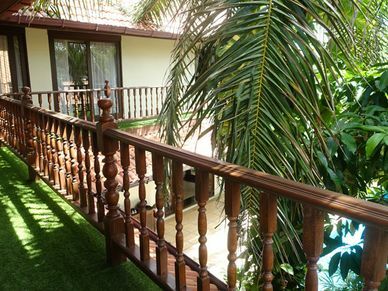 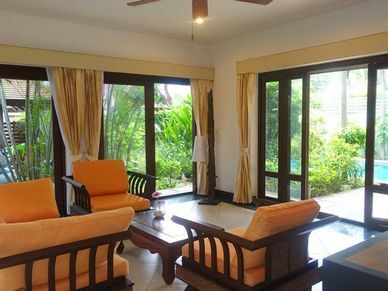 The outdoors offer lush tropical greenery giving the property this intimate feel. 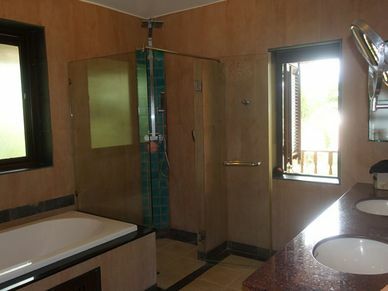 The private poos has a good size and on it`s far end, there is a waterfall feature. 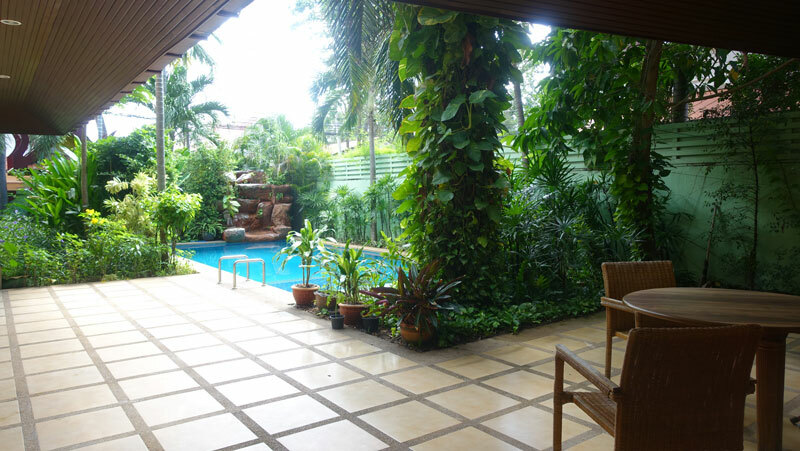 The vehicles are stored under a covered carport area and a Thai outdoor kitchen is there as well. 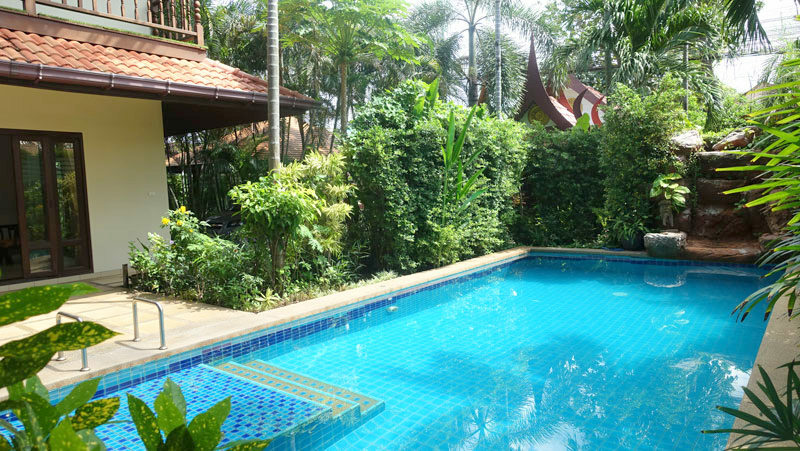 You find here the rare combination of downtown plus quiet natural living. 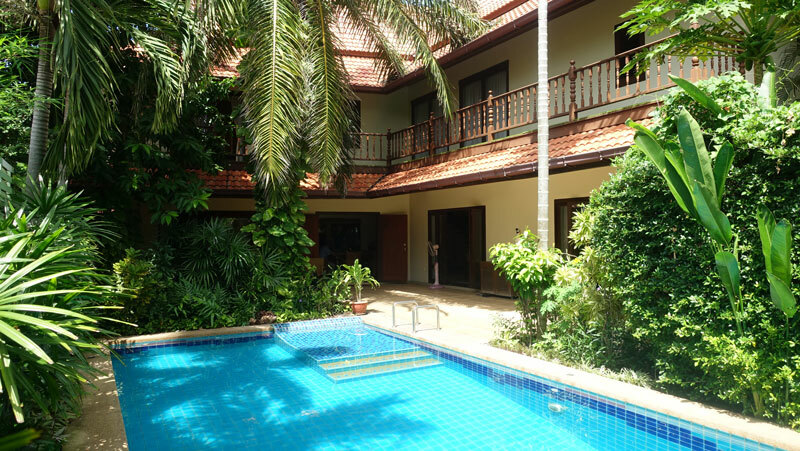 Beach side of Sukhumvit Road and just a good kilometer away from central Jomtien beach with all its amenities such as shopping, restaurants and everything else this vibrant city offers. 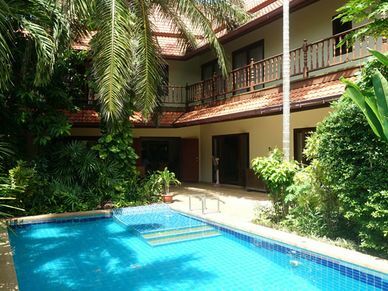 Still wonderfully quiet and just a few hundred meters away from the artery of Sukhumvit road, leading you to all desired directions.